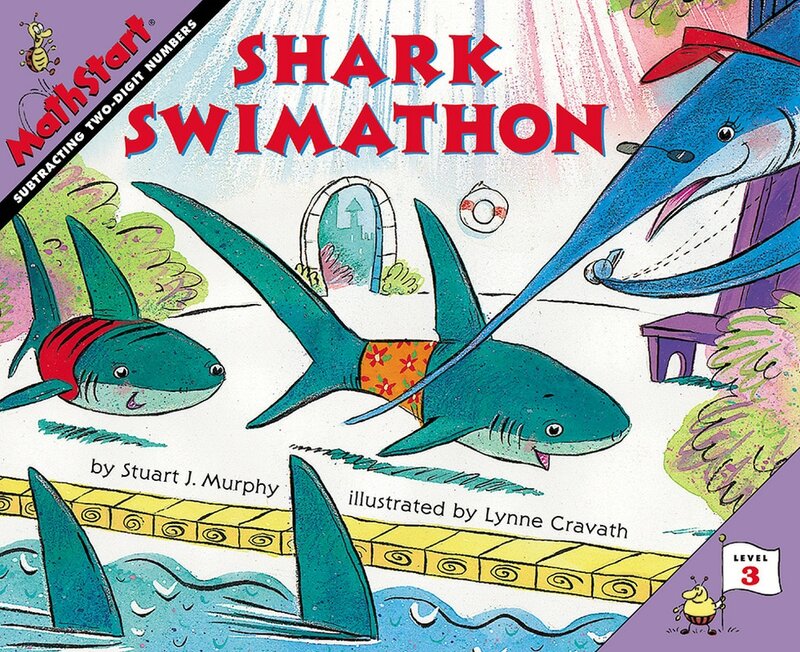 The Ocean City Sharks swim team—Gill, Fin, Stripes, Tiny, and the hammerhead twins, Flip and Flap—really want to go the state swim meet, but they're short on funds. If they can swim 75 laps over the next four days, the local newspaper will sponsor them. The first day they swim a total of 14 laps (75 - 14 = 61). The next day they do a little better with 17 laps (61-17 = 44) But will they make their goal? Learning to subtract 2-digit numbers with and without regrouping prepares children for subtracting larger numbers.